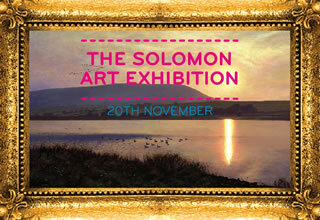 Thank you so much for your interest in raising much needed funds for the Solomon Project. 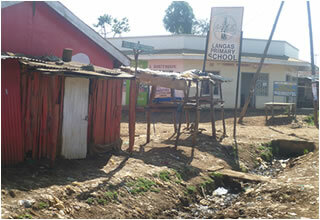 It is amazing to think that £17 will feed a child for a whole year in Eldoret. That’s just 8 pence per day! Please feel free contact us for advice on how you could fundraise and we would be delighted to help you make your fundraising idea a success. You could entertain friends and family with a delicious dinner party. If you charged 10 guests £10 you could raise £100 meaning that almost 6 children could be fed each day for a whole year!! Sweets in a jar. All you need do is fill a jar with sweets, you charge people £1 to guess how many there are in the jar and the nearest to the actual total wins the sweets. If you only get 17 people to guess, that takes care of one child for the whole year!! WOW! Baking cakes and biscuits for a cake stall is still a firm favourite with us! You could even dress up in a silly costume and give away free cups of tea.. Once people know the great cause you are sure to make lots of money. You could always offer your services to friends, family and neighbour. People need their cars washed, ironing done, babysitting, dog walking and gardening. A few hours of your time could feed a child for a whole year. Guess the name of the teddy? You could ask a business to donate a big cute cuddly toy. Then all you need do is ask people to pay £1 to try and guess the name of the teddy. Once you have 51 entries.. that means 3 more children are fed for a year! Non Uniform day or a dress down at work day - Everyone pays just £1 to go to school in their own clothes or at work in casual attire. 1000 people in your school instantly can raise £1000 , meaning that’s nearly 59 children fed each day in school for a year! If you are incredibly fit and love to run... or are keen to do other daring sponsored pursuits. Please get in touch with us and we would be happy to provide sponsorship forms. Other Friends of the Solomon Project have organised 2 sponsored walks this year. One around the Ribble valley and one across Morecombe Bay. Both were complete successes despite some rather excessive rain in the ribble valley. Together the walks raised nearly £5,000. Please get in touch if you would like to hear of any further walks that are organised. A BIG THANKYOU TO NAOMI WHITE AND ALL WHO HAVE CONTRIBUTED TO THIS SPECIAL EVENT. We look forward to updating you on this wonderful evening. Other friends of the SOLOMON project recently got married. They felt no need for presents from friends and family, so instead asked that people would give donations to the Solomon Project. 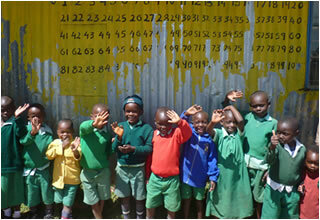 What a generous idea and what a gift to so many children in Eldoret. Please contact us if you would like any further ideas or encouragement in your fundraising pursuits. We would love to hear from you.